Tech lovers are awesome, and so are their innovations! So who though for a wheeled plate, i.e., a surfboard can be renovated in a way that will describe modern day technology and alter the way we perceive the simplest of things. We are speaking about one such fantastic modernization, the So Flow’s New Lou Board. Designed by cohesion of international skaters, technology lovers and e-mobility expert, Lou board is an electric skateboard that aims at improving urban commune and revolutionizing skateboarding and the world of commute. Constructed of Swiss quality, this skateboard is a harmony of technology, speed, range, reliability, portability and flexibility. Also, it has motorized wheels and a concealed battery to keep them going. Lou Board’s sturdiness and light weightiness make it a plush for modern day skateboarding and transportation. To its great look, long life is further added by the introduction of interchangeable deck plates and replaceable motorized wheels in the board. This Skateboard is excellent for people who commute or planning to commute via skateboarding as Lou promises to deliver best possible ride in busy markets or forlorn roads. So Flow’s Lou Skateboard is all ready to set streets on fire this April. Kickstarter will have a curtain raiser of Lou on 10th April 2017 and fundraising will happen until May 25th with the aim of raising $80,0000 towards production costs. Also, promoters can receive rewards based on their level of commitment to the campaign. This brilliant design is apt for travel or just to enjoy surfing the pavement, and we are excitedly waiting for the big debut. Let us have a sneak peak. 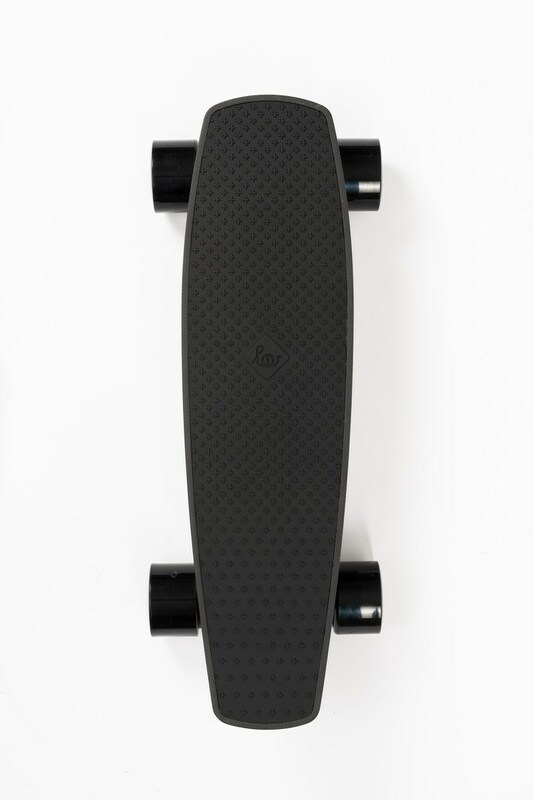 Marvelous design: Well this is self-explanatory not just by looking at the board as Lou Skateboard has won the Red Dot Design award for its remarkable looks. Water resistant: Let not the rains and storm stop you from enjoying skateboard as this one is waterproof, you might need a raincoat but not Lou for sure! Smartphone app: Well have you ever considered of talking to your skateboard? Well, the smartphone app presents you with various data points of time and distance traveled, battery, etc. Replaceable wheels: This is a very important aspect as it is the major factor contributing to the long life of the skateboard. Powerful: The battery is good as it gets charged within two hours and gives as much as 15Kms of power to Lou. For further information on electric skateboards do check out HoverDNA's website.